November brought a trip to Germany and Singapore (with a side dish of WhiskyLive) that kept tastings on track for the Whisky Lady! The best was all three groups aligned to my mad travel schedule so there was a concentrated burst of all three sessions in less than a week! Glendullan (2001/2014) 46% – Floral summer breeze! 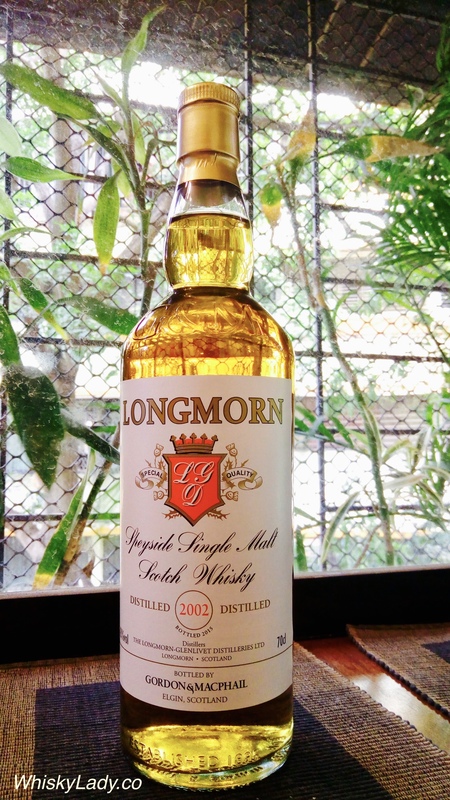 Longmorn (2002/2015) 43% – A Longmorn to love!! 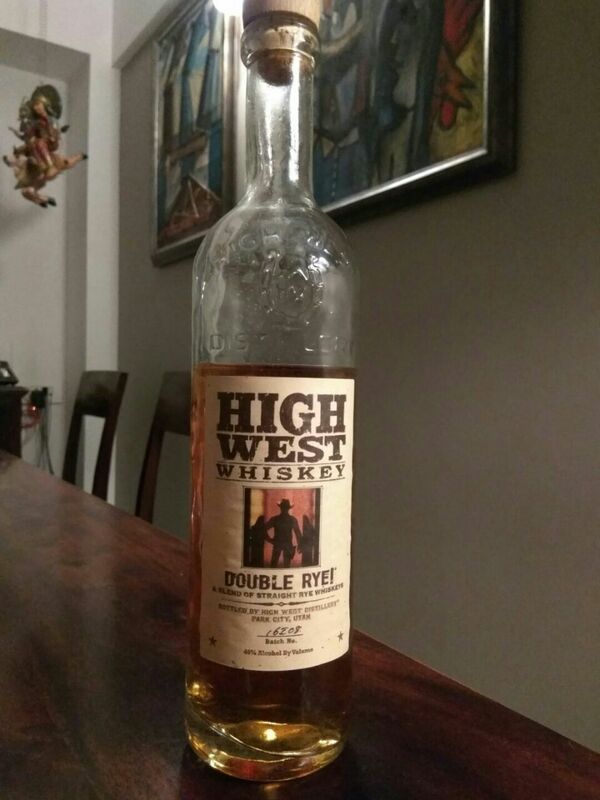 Last in the official pours from our original club’s rye night was a whiskey from High West. As I was off in Germany, notes were ably recorded by our guest writer Nikkhil… Read on! Nose: Acrid,nail polish, solventy, metallic paint shop. A tiny hint of rose petals.Muted nose. We weren’t getting anything much from this one. Palate: Sharp and bitter sweet but not rough. Palate as muted as the nose. Hints of coco,cinnamon and tobacco. With water it gets even sharper. Green tea and some black pepper. Finish: Short and still solventy. After 20min rest: Grassy notes and tobacco. Double Rye: A blend of straight Rye whiskeys ranging in age from 2 to 16 years. 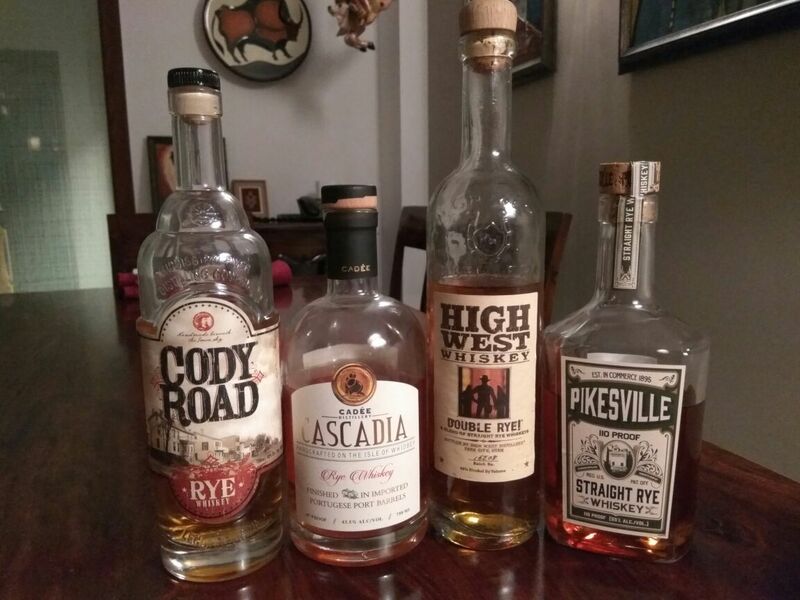 Straight Rye whiskeys: 95% rye, 5% barley malt from MGP & 53% rye, 37% corn, 10% barley malt from Barton Distillery. N​ose: Very jammy, over ripe fruit, orange oil, coco. A distinct note of gulkand (a sweet preserve of rose petals). Turmeric here as well. Strangely some sulphur notes. Mushrooms? A member even picked up mango pickle! Palate: Mildly spicy. Dry coriander seeds, white pepper, vanilla. The jammy fruity nose was a lot subdued on the palate.The turmeric continues as well as the paan notes. Delicious actually. ​Finish: ​Long with lingering notes of menthol/mint and warm spices. With water it opens up beautifully. The soft fruits are back. Aniseed, rose, light tobacco along with that sulphury note created an interesting and a very unique flavor palate. The spices, though restrained keep the balance in check. ​After 20min rest: Meaty notes, bubblegum and weirdly Lifebuoy soap! Aging: This Rye Whiskey was first matured in new American Oak barrels, then double barrel finished in French oak casks previously used for maturing rich, 20 year old Port in Portugal. 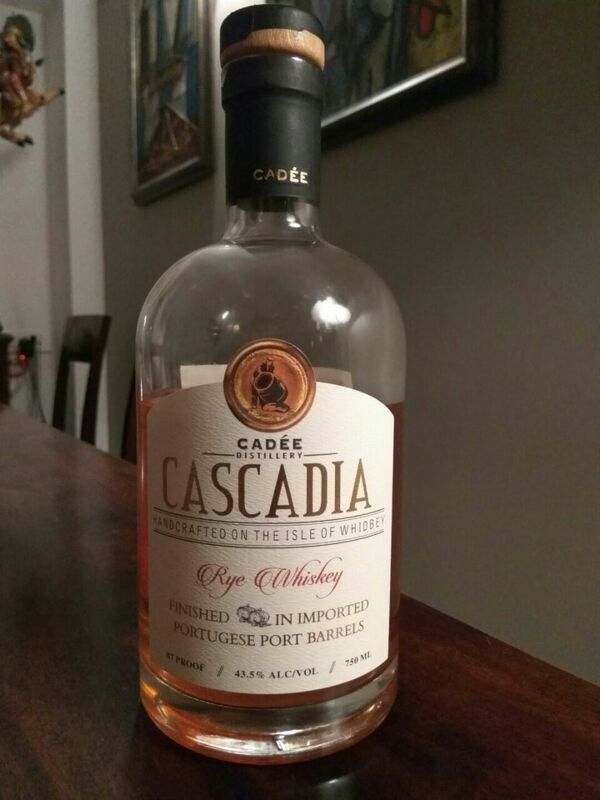 The casks were transferred to the distillery’s No.I vault, the Isle of Whidbey’s oldest maturation warehouse. Located at sea level on the shores of Port Clinton, the spirit was left to mature under nature’s care. 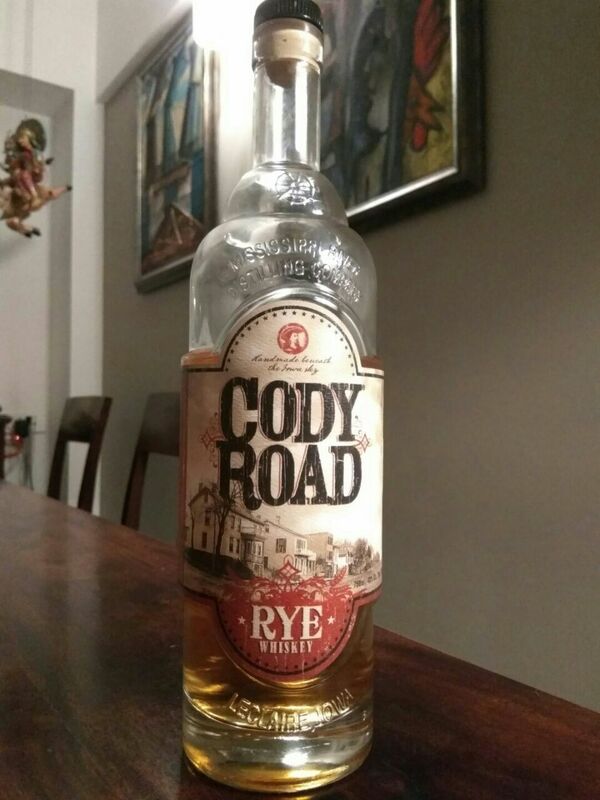 The straight Rye developed into one of the most incredible whiskies we have produced. With an aroma rich in port, cocoa, dark cherries, toffee, chocolate and mature oak on the palate, the concentration of flavors is inimitable. Nose: Rich and full, yet mild. Lingers in the mind. Tasting Notes: Rich, delicately spicy and very smooth. Last but certainly not least in our Gordon & MacPhail evening was a whisky from Longmorn. Longmorn Distillery is found between Glen of Rothes and Elgin. Its name is derived from the Gaelic, Lhanmorgund, which means “place of the holy man”. This is a reference to the church which once stood there. Prior to the distillery being built in 1897, there had also been a grain mill on the site. R.J.S. McDowell considered Longmorn to be one of the top four malt whiskies. One remarked how it was like an “elegant man” and a yet also a bit of an old dandy. I’ll admit I had a moment before we opened the bottle of dread… what if it was a disaster? The last Longmorn we had was less than stellar… yet the Longhorn of old was a character – a most enjoyable one at that – so our hope was it would lean more towards such a style. And the verdict? A complete hit. Sweet but with substance. Just the right element of a hint of smoke, sweetness from the sherry 1st fill hogsheads. Delicate Sherry notes with stewed apples, pear and traces of tobacco. The palate has white pepper initially with banana and orange flavours complemented by a creamy milk chocolate chip. Aroma – Delicate Sherry influences with vanilla, stewed apple, and cinnamon spice. Hints of dried tobacco and cream soda are complemented by milk chocolate aromas. Taste – Sweet and creamy initially with mild chilli spice developing. Liquorice, orange zest, and toffee flavours followed by a milk chocolate edge. Aroma – Delicate Sherry initially with fresh green apple, sweet hay, and banana aromas with hints of toasted pecan nuts. Taste – Peppery with green apple, grapefruit, and charred oak flavours are complemented by a mouth coating milk chocolate and Brazil nut edge. This bottle was purchased at The Whisky Exchange for GBP 48 and freshly opened in November 2017 for our Whisky Ladies. Next up was an Aultmore I’d had the pleasure of sampling this back in October 2015. 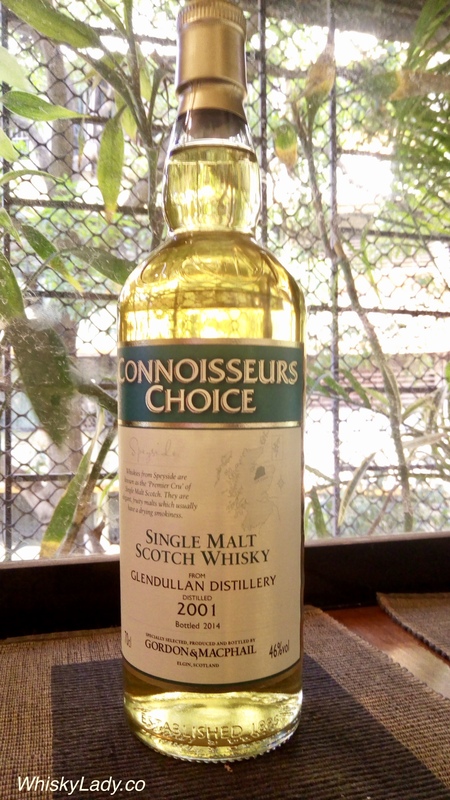 The original purchase request was for the newer version from 2002 (bottled 2016) at only 43%, however I was so happy to see this one make its way to Mumbai that I kept it to myself! Aultmore Distillery lies several miles north of the town Keith on the eastern fringe of Speyside. The distillery was established and building commenced in 1895 by Edward Alexander. The distillery initially did well and production was doubled in the first few years. However, the Pattison crash (1899) hit Edward hard as he had been a large supplier of bulk whisky to Pattison. Production continued at Aultmore but times were difficult; closing during WWI with the barley shortage, then Edwards sold the distillery to John Dewar & Sons Ltd in 1923. It was rebuilt when temporarily closed from 1968 to 1971, this time under the auspices of United Distillers, a pre-cursor to Diageo. Then in 1998, Diageo sold the Aultmore Distillery to Bacardi, subsidiary of Dewars – yes back to its earlier owners – in a deal worth more than £1 billion! Known primarily as an element in blends – initially Pattison, then various for Dewars and others, it has only more recently emerged as a single malt. It should be noted that Aultmore whisky is not matured at the distillery site. 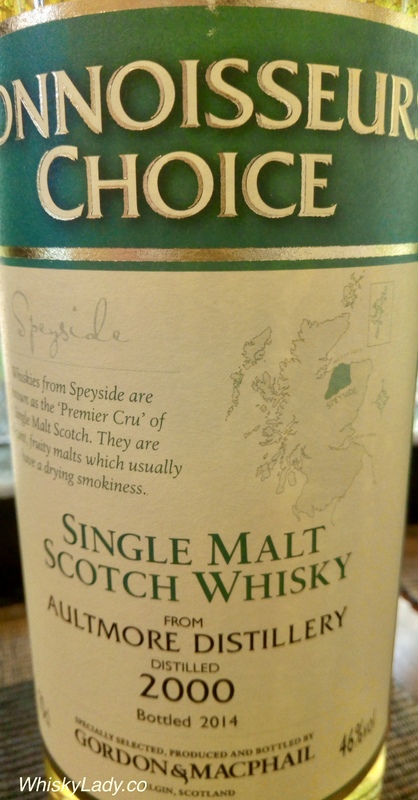 We sampled a 2000 vintage Aultmore bottled by Gordon & Macphail as part of their Connoisseurs Choice range. And what did the Whisky Ladies think? For many, this was the most interesting as its character kept shifting as we settled down and let it evolve. Each sip revealing more elements, all in subtle harmony. The whisky has herbal and dried fruits aromas with hints of charred oak. On eat palate there is a delicate fruitiness with spices and a touch of oiled wood. Nose – The whisky has herbal, dried apricot and raisin aromas with hints of charred oak. Taste – Delicate fruitiness, with red apple and pear flavours. Festive spices and a touch of oiled wood linger. Nose – Toasted malt and sweet summer fruit aromas, blueberry and raspberry. A subtle cinnamon edge lingers. Taste – Peppery and sweet with hints of green apple and plum. Becomes creamy with a smooth milk chocolate edge. This bottle was purchased at The Whisky Exchange for GBP 53 and freshly opened in November 2017 for our Whisky Ladies. 1st up in our Gordon & MacPhail trilogy evening was a bright, light delightful dram from Glendullan. Glendullan Distillery was founded in 1897, and was the last built of the original seven distilleries of Dufftown. Glendullan was rebuilt in the 1960’s and an additional distillery unit was built between 1971-72. Currently owned by Diageo. The whisky has sweet vanilla notes with hints of kiwi and green apple aromas. The palate is sweet with cracked black pepper, lime and orange flavours. These combine with a lingering creamy chocolate edge. Aroma: Sweet vanilla with hints of kiwi, green apple and lime. These are complimented by underlying coconut, white chocolate and rose water aromas. Taste: Cracked black pepper with lime, ripe banana and orange zest flavours. These combine with a lingering creamy milk chocolate edge. Aroma – Vanilla pods with hints of cucumber, green banana and lime zest. A subtle freshly cut grass and cedar wood note lingers. Taste – Ripe banana, pressed apple and melon flavours initially. A delicate trace of vanilla and digestive biscuit develops. Would we agree? For the most part yes! And for the rest? Who cares… we loved it! This bottle was purchased at The Whisky Exchange for GBP 45 and freshly opened in November 2017 for our Whisky Ladies. I’ve long been a fan of Gordon & MacPhail – finding they deliver consistent quality for value – even in their younger or entry level ranges. I decided to test this by deliberately selecting a few of their most affordable offerings – all around 50 GBP – for a special Gordon & MacPhail evening with the Whisky Ladies in Mumbai. The purchasing was easy thanks to help of a friend who stopped by The Whisky Exchange in London. The gradual import into India took a bit more time. What required the most patience of all was waiting for an evening to share with the Whisky Ladies! 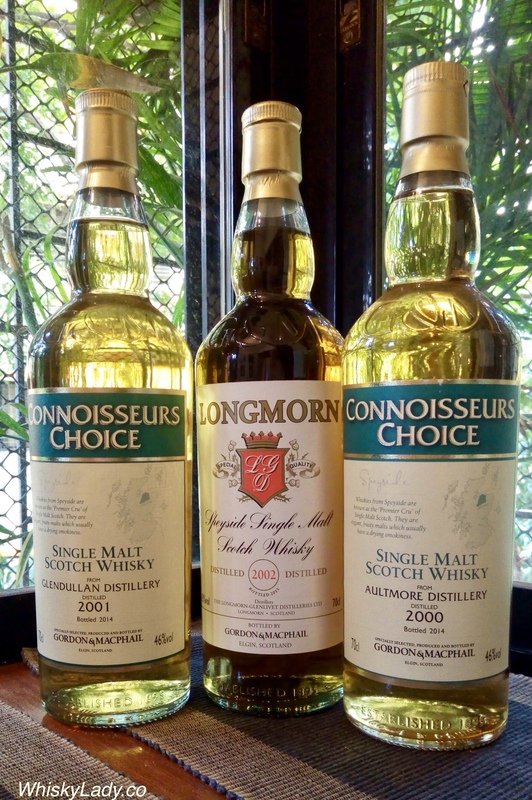 Two of the whiskies selected were from their “Connoisseurs Choice” range which was started in the mid-1960s by Gordon & MacPhail to bring to whisky aficionados whiskies that were less readily available as a single malt at an overall reasonable price range. One was from their “Distillery Labels” range using unique distillery designs once used ‘officially’ to bottle the whisky under license from the distillery, now in disuse except through a special relationship with Gordon & MacPhail. Fabulous each one in its own unique way…. 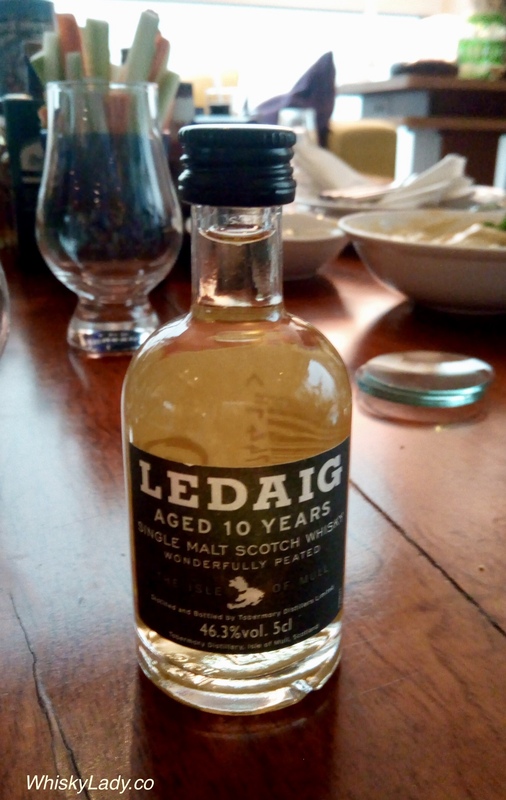 Last in our peaty persuasion session of miniatures was the Ledaig 10 year. This certainly wasn’t my first brush with Tobermoray Distillery’s peaty product… a few years ago my 1st introduction was to a Gordon & MacPhail Ledaig 1997, then our original club sampled the Ledaig 18 year and last summer I picked up the Ledaig 10 year in Winnipeg. We sampled from a sample from closed miniature in October 2017 purchased from The Whisky Exchange for approximately $6. The Arran 14 year 46% – Still to sample!